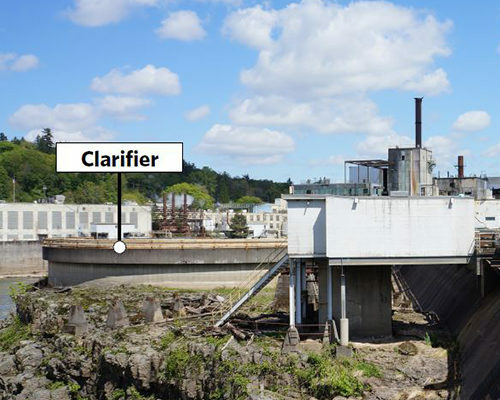 Clackamas County Fire District #1 will be conducting a firefighter training exercise at the former Blue Heron paper mill on August 29-31 and September 5-7. They will not be setting any structures on fire. The exercise will use smoke barrels to simulate the smoke that is present during a real structure fire. 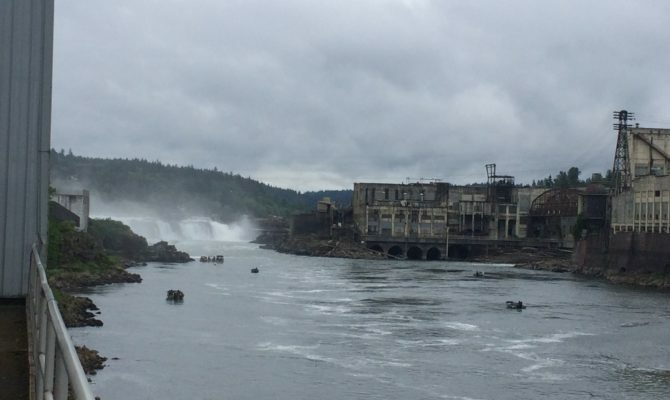 The Willamette Falls Legacy Project established a Tribal Advisory Board to create an innovative, evolving and genuine relationship with local tribes, with the intention of establishing a model for successful tribal engagement. 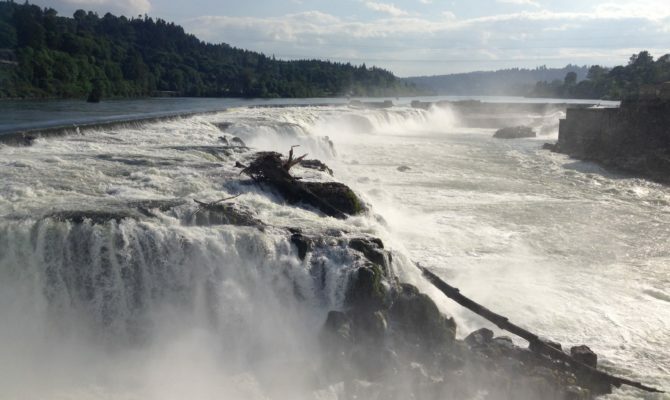 Thank you to all who took the time to participate in our last community survey before the Willamette Falls riverwalk design is unveiled in June! 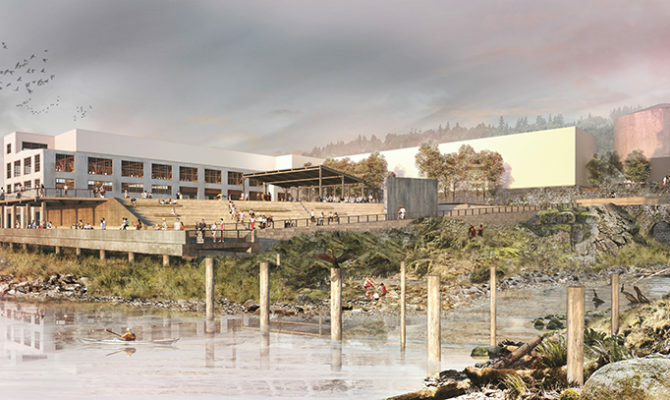 Results from the riverwalk community event – learn about design options for the north riverfront on the Willamette Falls Legacy Project site. 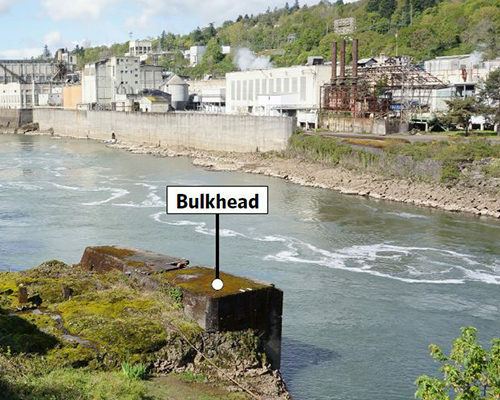 Results from the riverwalk community event – learn about design options for the clarifier on the Willamette Falls Legacy Project site. 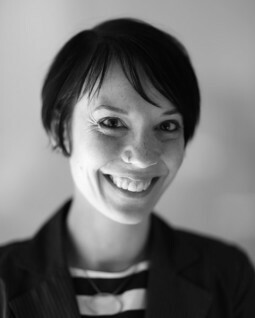 Watch the full presentation given by Michelle Delk of riverwalk design partner Snøhetta at the design alternatives community event. 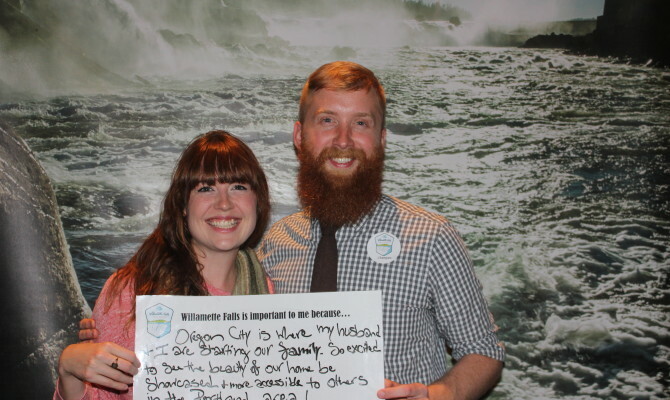 Willamette Falls Legacy Project at the movies! 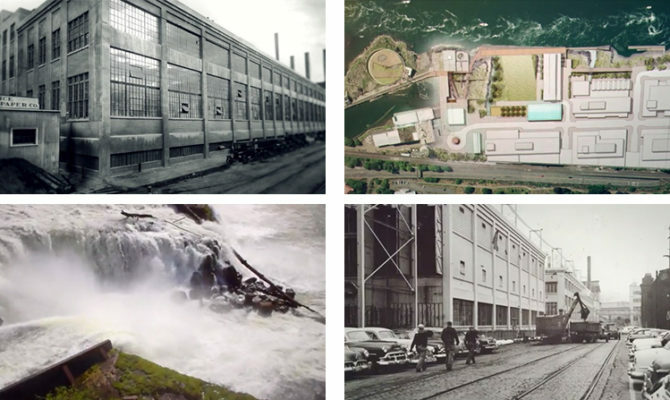 Playing now in theaters across the Portland metro area, our updated video introducing the Willamette Falls Legacy Project! 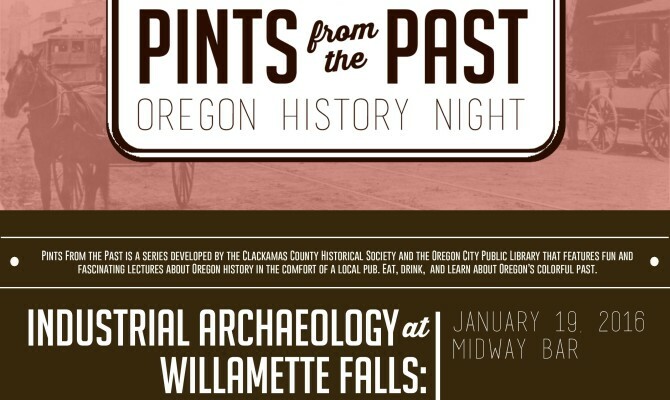 Due to overwhelming interest in the Pints from the Past community event featuring the Willamette Falls Legacy Project’s cultural landscape report, an encore will be held on January 8, 2017 at Lake Theater in Lake Oswego. All are welcome and admission is free! 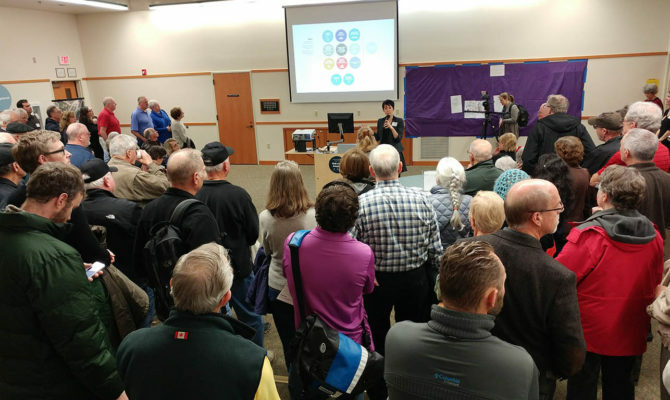 Hundreds of people from across the region came to the riverwalk design alternatives event held in Oregon City. Share your opinion through our online design survey – we want to hear what you think! 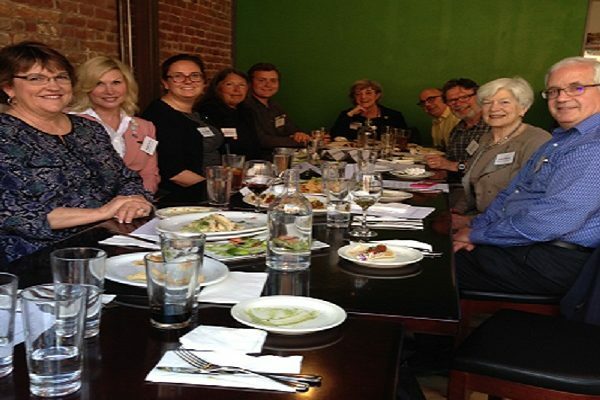 Thank you to all who came to our riverwalk design event! The design process is ongoing and we are seeking community input – take our online survey today! 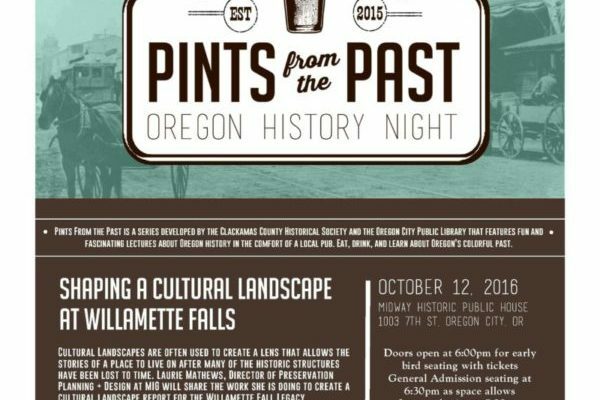 The most recent Pints from the Past lecture featured our cultural landscape report, presented by Laurie Mathews, an award-winning historian. Watch the video to learn more! 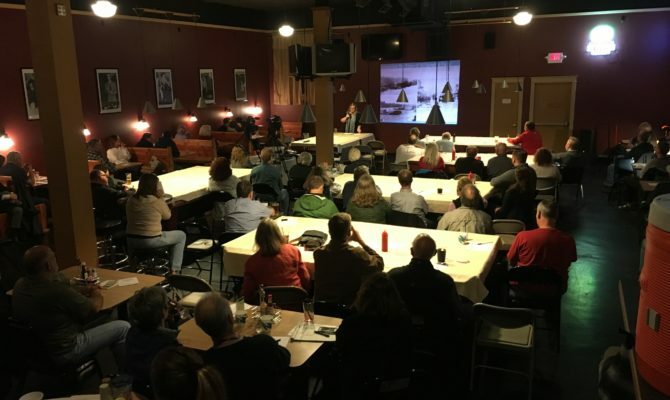 An enthusiastic capacity crowd gathered at the Midway Historic Public House to hear from Laurie Mathews, who shared vignettes from her work to create a cultural landscape report for the Willamette Falls Legacy Project. 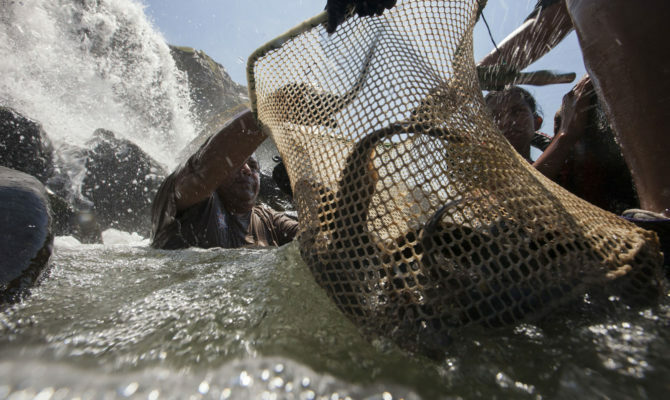 Free event admission will be offered as space allows. The lecture is also being recorded and will be available on our website 1-2 weeks from the event. 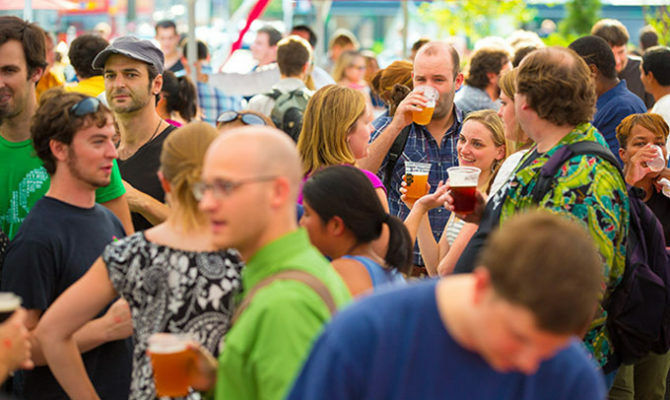 Due to overwhelming demand, an encore is being planned – details to come! 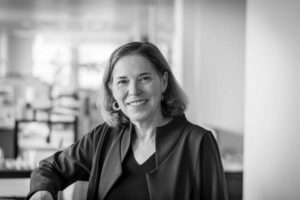 Carol Mayer-Reed shares her thoughts about waterfalls, past projects, design for public spaces – and what excites her most about the riverwalk project. 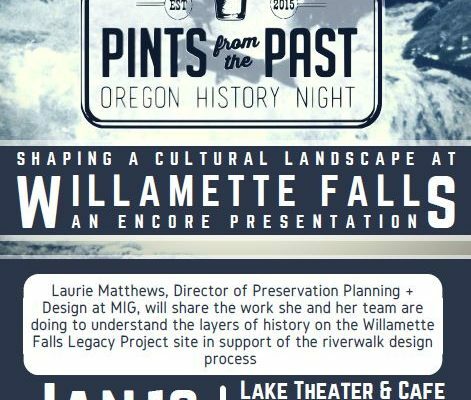 The latest of the popular series Pints from the Past will feature Laurie Mathews from MIG, who will share her work to create a cultural landscape report for the Willamette Falls Legacy Project. 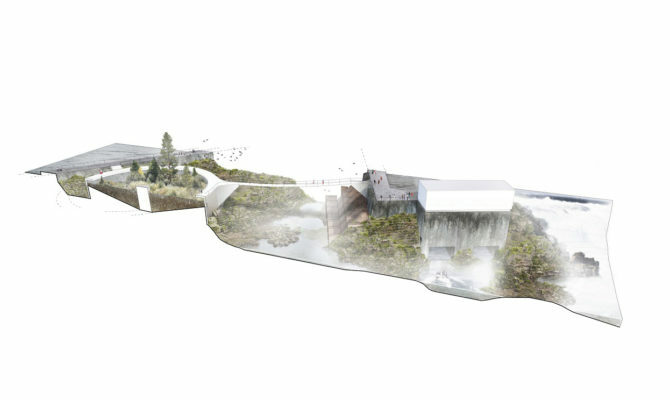 Michelle Delk of Snøhetta shares her thoughts about waterfalls, past projects, design for public spaces – and what excites her most about the riverwalk project. 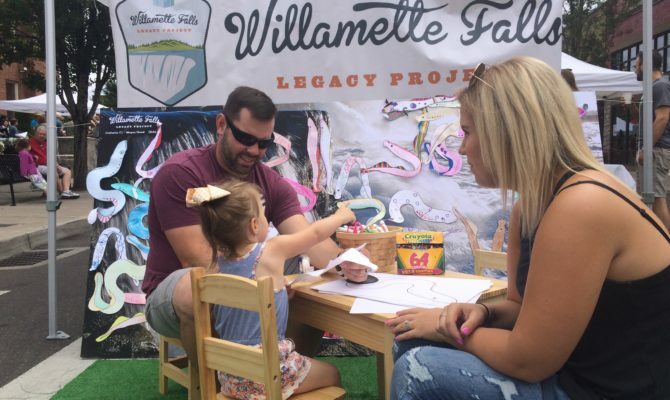 Hundreds of people visited the Willamette Falls Legacy Project booth at downtown Oregon City’s First City Celebration on July 23. 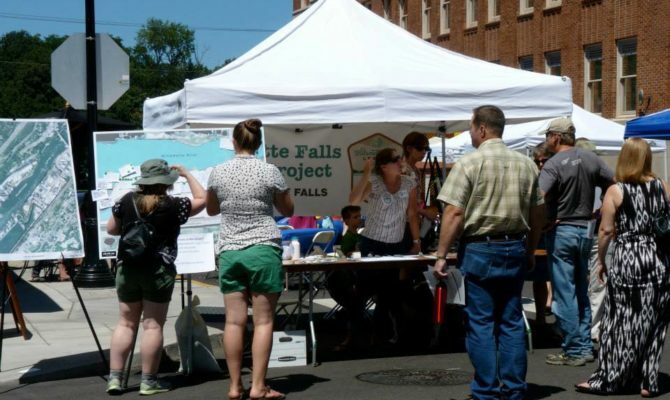 Project staff, designers and volunteers from the friends group were on hand to talk with visitors, answer questions and seek community input on seasonal activities. 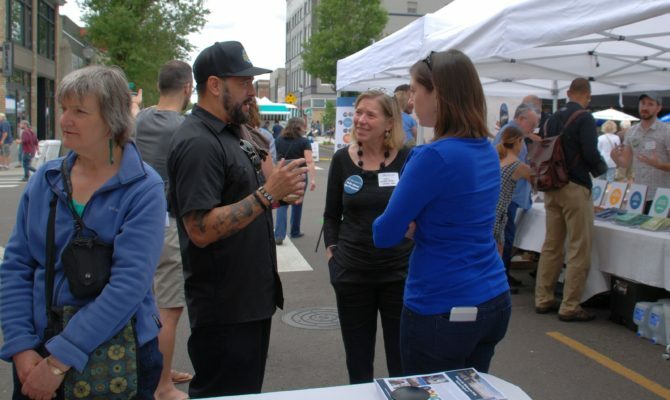 Thank you to all who came to see us at the First City Celebration! 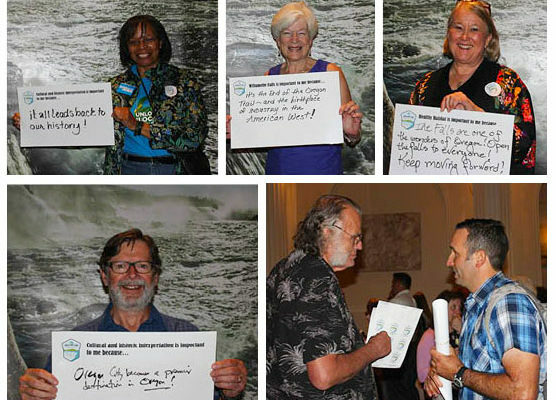 Staff, designers and volunteers truly enjoyed meeting with people who stopped by to ask questions, create artwork for our lamprey art wall, show their support — and give us their input for riverwalk activities during each of the four seasons. 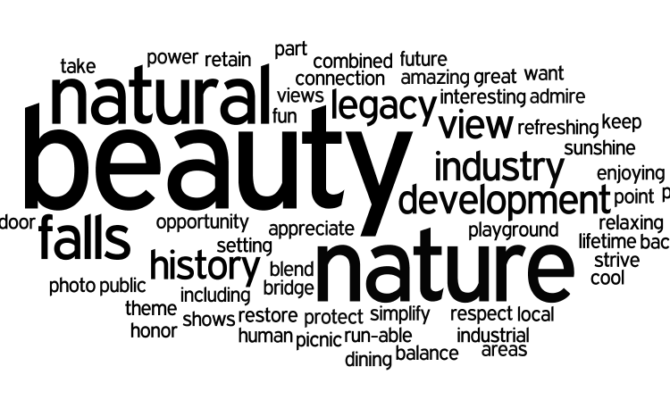 Are you curious about what others are hoping to see and do at the riverwalk? We have something to share! 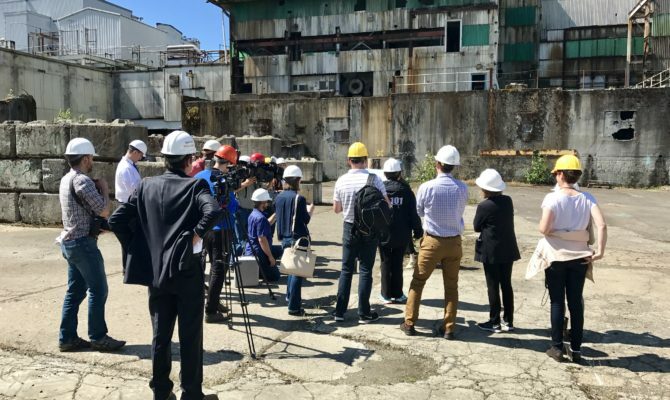 On Saturday, May 21, staff and volunteers welcomed dozens of people from across the Portland metro region who were quick enough to claim a spot in one of the public site tours. 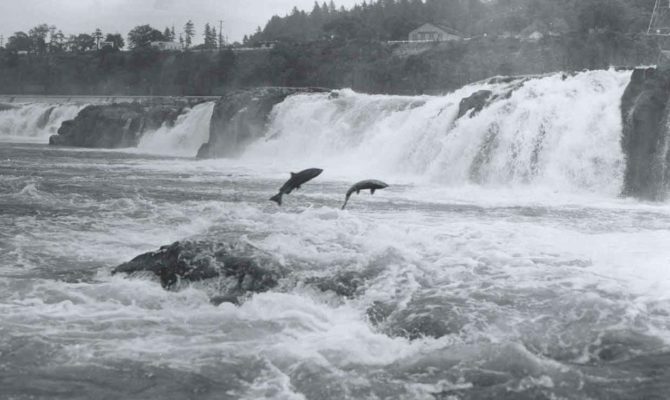 For more than 150 years, Willamette Falls has roared behind industrial buildings in downtown Oregon City, out of sight from most Oregonians. 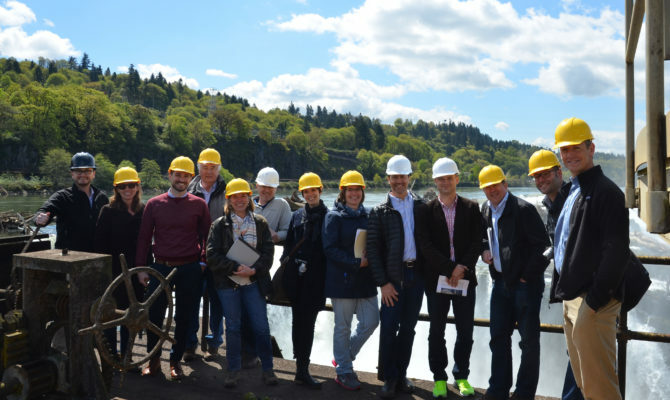 As we work to permanently build public access to Willamette Falls, we also want to give you a glimpse of the future through our site tours. 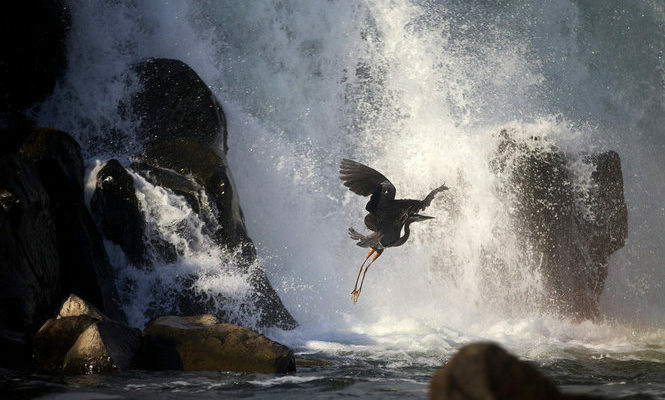 The Willamette Falls riverwalk open house on March 30 was a smashing success! 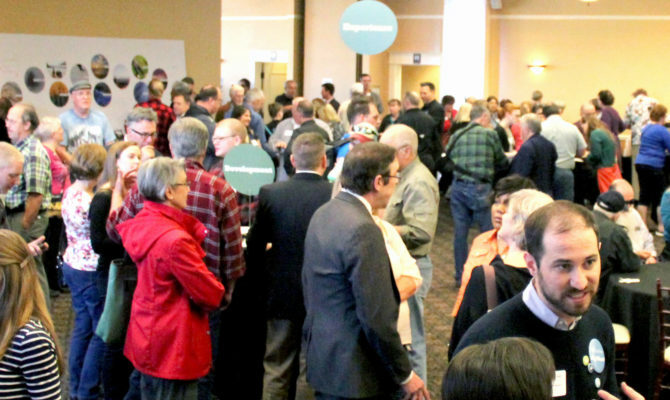 More than 800 people from across the region made it to the open house at the Abernethy Center in Oregon City, exceeding even the most optimistic expectations for attendance. This is no ordinary Open House! Our event will include fun, thought-provoking activities that will allow the design team to hear directly from the community. 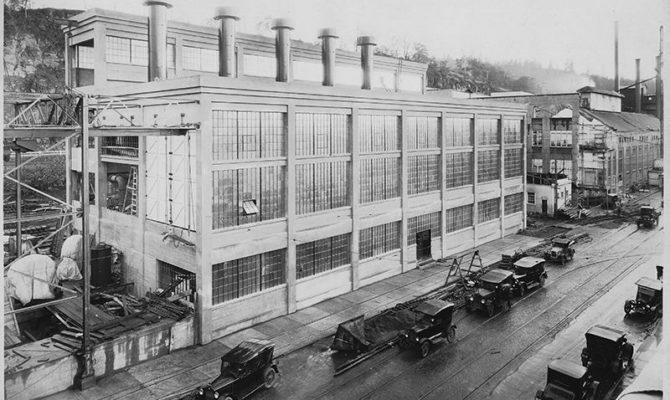 Results from an archaeological investigation of the foundation of the Oregon City Woolen Mills will be presented next month after years of obscurity beneath the complex layers of human innovation. 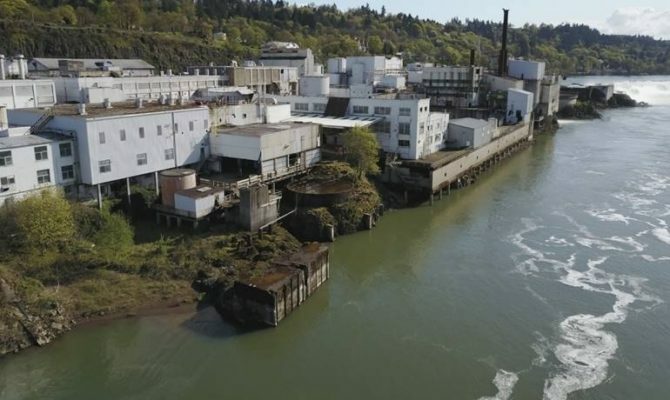 Oregon City commissioned a two-week archaeological investigation, beginning August 10, at the historic foundation of the Oregon City Woolen Mill located on the former Blue Heron property. 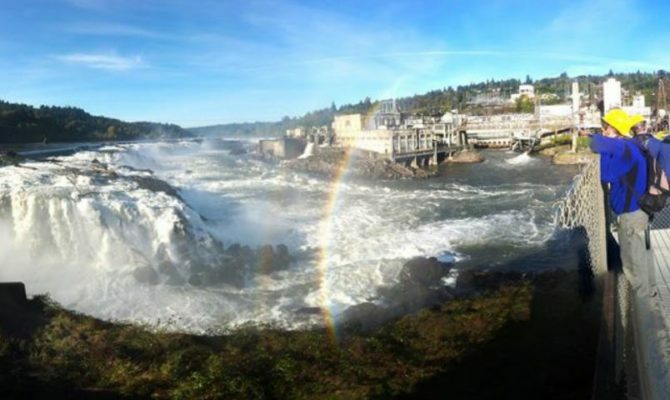 Rediscover the Falls, a new non-profit group formed in support of the Willamette Falls Legacy Project, will bridge communities and work in tandem with government partners to implement the vision for the Falls. 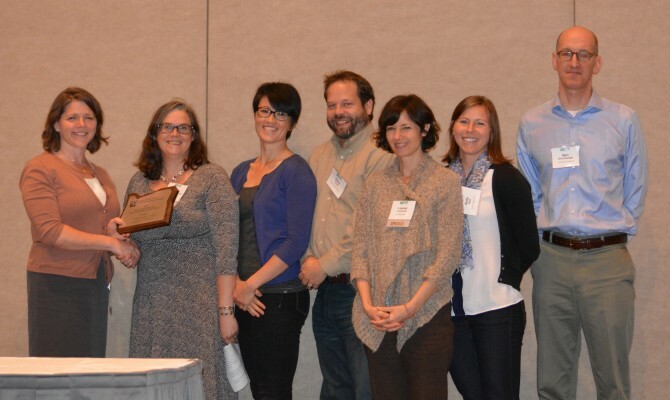 On October 16, 2015 the Oregon Chapter of the American Planning Association (OAPA) awarded the Willamette Falls Legacy Project with the award for a project with statewide significance. Over 400 people attended our event last night to meet the Riverwalk designers! 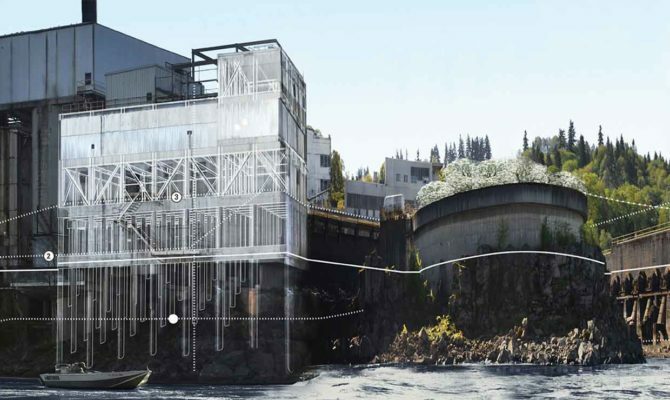 We saw inspiring presentations and listened to a thought-provoking discussion from our Riverwalk team from Portland’s Mayer/Reed Landscape Architecture, Oslo/New York-based Snøhetta, and Vancouver, BC’s DIALOG.